As NASCAR descended upon the hills of Tennessee for close-quarters racing action at Bristol Motor Speedway, Germain Racing was anxious to unload their No. 13 GEICO Camaro ZL1. The team has been fast since the opening laps of the 2019 Cup Series season back in February. 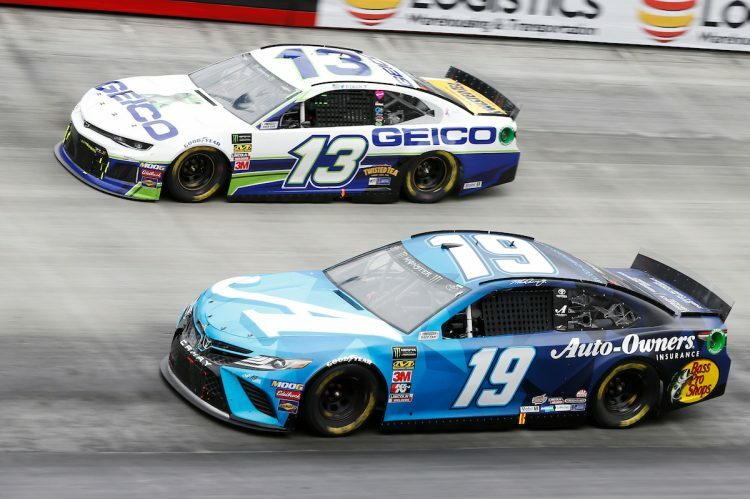 Ty Dillon and the GEICO team turned in another strong weekend during their trip to Bristol. Aside from collecting their fourth top-15 finish in the first eight races, the team has also now advanced to the second round of qualifying each week since departing Daytona. Most notably, Dillon and Germain Racing led six laps and collected their first NASCAR Cup Series stage win in Sunday’s Food City 500. .” On Friday during qualifying, Germain Racing again exhibited the consistency for which they’ve become known. For the seventh consecutive week, Dillon and his No. 13 GEICO Camaro ZL1 advanced to the second round and, after zipping around the high-banked ½-mile oval in a blistering 14.951-seconds, landed 24th on Sunday’s starting grid. Weather threatened, but never impacted, race day. Dillon and the GEICO Camaro took off from the 24th position when the green flag turned the field loose for 266.5-miles of racing at the World’s Fastest Half-Mile. A yellow flag slowed the field with only seven laps remaining in the opening stage. Rather than just ride out the laps, Dillon jumped on the gas of his No. 13 GEICO Camaro ZL1 when the race returned to green and charged to the lead. It was ‘Go Tyme’ during the final three laps of Stage 1 and Dillon beat Clint Bowyer to the line to collect his first NASCAR Cup Series stage win. His effort was rewarded with 10-points and an on-air, in-car interview with the FOX Sports broadcast crew. Dillon’s day continued to go well and he would not depart the top-15. The GEICO pit crew was flawless on pit road, while crew chief, Matt Borland, and his team of engineers kept their pencils sharpened, feeding Dillon important information as he pedaled around the high-speed, half-mile oval. Spotter, Billy O’Dea rarely had time to breathe as he helped Dillon navigate a track full of racecars.
. “That was huge, to go head-to-head with the top teams and win a stage is huge for GEICO and Germain Racing,” a smiling Dillon said after exiting his No. 13 GEICO Camaro ZL1. “That was a really cool moment, something we are really proud of. We are proud of the direction we are going with our race team. We are going to keep getting better for Chevrolet, GEICO and Germain Racing. I’m really proud of how we are doing with our Camaro. ” Germain Racing will now head to the ¾-mile oval located in Richmond, VA, for race number nine of the 2019 Monster Energy NASCAR Cup Series season. Ty Dillon and the No. 13 GEICO Camaro ZL1 will hit the track at Richmond Raceway for the weekend’s opening practice session on Friday, April 12th, at 11:05 AM (ET). Qualifying will follow at 5:40 PM (ET).